Diabetes has become an epidemic in this country. If you have diabetes it is essential that you have your feet evaluated by a podiatrist. Our Podiatry Team, Dr. Burton Katzen, DPM, LLC, is here to help. Diabetes is a chronic metabolic disease that affects over 16 million people in this country. Individuals with diabetes are prone to many complications, the most common one being foot problems, including infections, which if left untreated, could lead to potentially serious consequences, including amputation. A diabetic may also develop kidney, eye, heart, teeth, and circulation problems along with nerve damage. Fortunately, a diabetic who is under control and lives a healthy life style has a far less chance of developing any of these complications. Many people with diabetes have mild to severe forms of decreased circulation and nerve damage (peripheral neuropathy). These two conditions can combine to form a lethal combination because simple cuts, scratches, and breaks in the skin can occur without you feeling them and invite infection because of the lack of circulation to bring infection-fighting cells to those tissues that need them. Many common pressure producing foot problems such as blisters, corns, calluses, warts, fissures, athlete’s foot, ingrown nails and incorrect nail trimming can become limb and even life threatening if left untreated in a diabetic. Burning, tingling, or painful feet. If you're a diabetic, schedule an appointment with our Podiatrist so that Dr. Burton J. Katzen, DPM, LLC can provide you with the care you'll need to minimize possible complications. You are entitled to one pair of shoes and three pairs of customized inserts every year. This is a program initiated by Medicare to help prevent diabetic complications that may be limb threatening before they occur. There are a wide variety of style and color choices. There are three different types that are differentiated by their locations on the body and their appearances. Venous stasis ulcers are found below the knee and usually on the inner leg. They are irregularly shaped, swollen, warm, and often discolored. 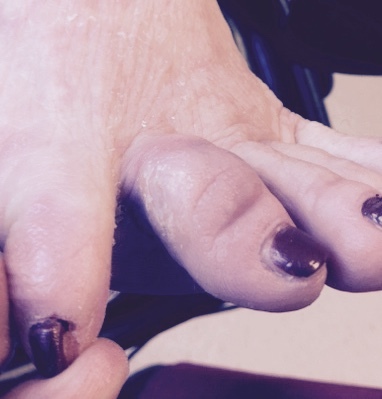 Neurotrophic (diabetic) ulcers are typically, but not exclusively, found at pressure points on the foot. They vary in size and are pink/red or brown/black in color. Arterial (ischemic) ulcers are also found on the foot, usually on the heels or tips of the toes. They can be yellow, brown, black, or grey in color and do not bleed. When you first come to our practice, Dr. Burton Katzen, DPM, LLC, we will use the latest technology to perform a comprehensive neurologic, vascular and orthopedic exam. Once the wounds are healed, patients are regularly followed up to help avoid future problems. So, if you have a non-healing wound on your foot, ankle or leg especially if you're diabetic, we strongly recommend that you schedule an appointment for a comprehensive evaluation. We know how painful and dangerous ulcers can be. To learn more about the various treatments and how to reduce one’s risk of developing foot ulcers in the first place, please contact Dr. Burton J. Katzen, DPM, LLC today.